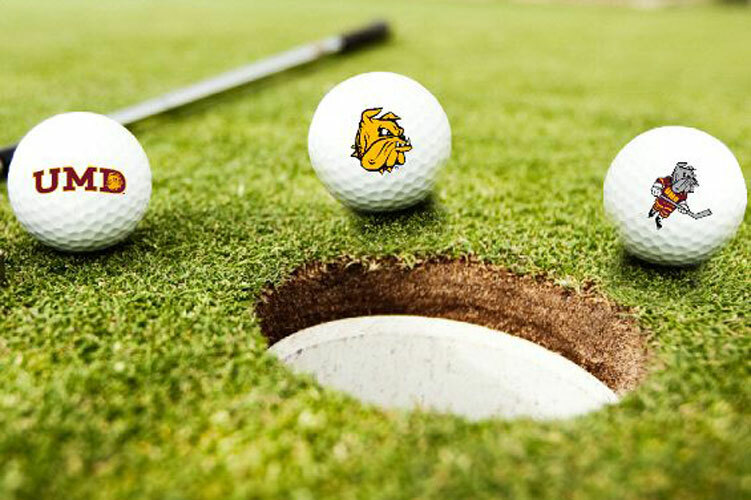 100% Polyester featuring 14" Plush Champ golf club head cover with UMD bulldog head hockey jersey. Also features a 8" golf club sleeve for an overall length of 22". This golf head cover is designed to fit a 460cc driver. 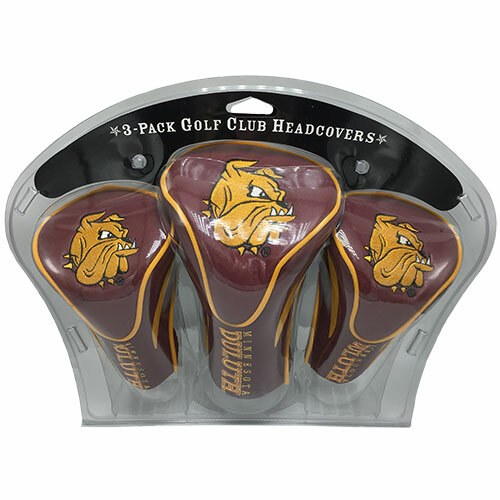 This 3-pk of contour sock headcovers features screenprinted (back) and embroidered UMD graphics (front). Sleek contour shape with long tail to protect your clubs. Numbered #1, #3, and X. The #1 fits all oversized drivers. 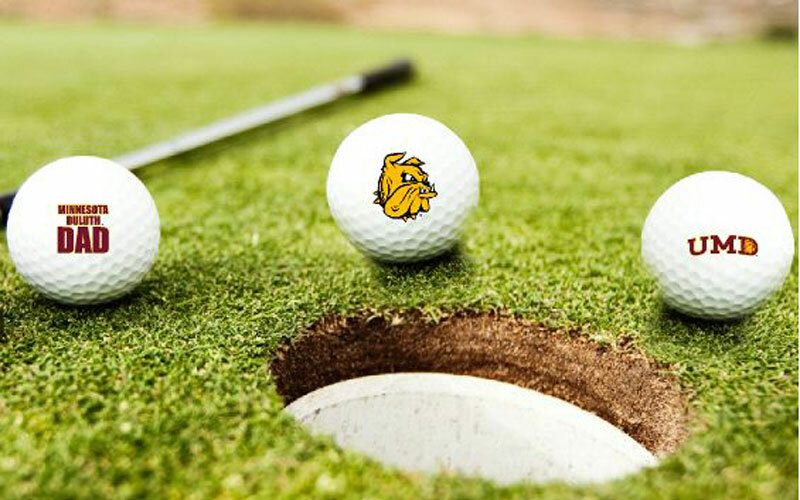 Taylor Made distance ball features gold Bulldog head imprint. From Team Golf. 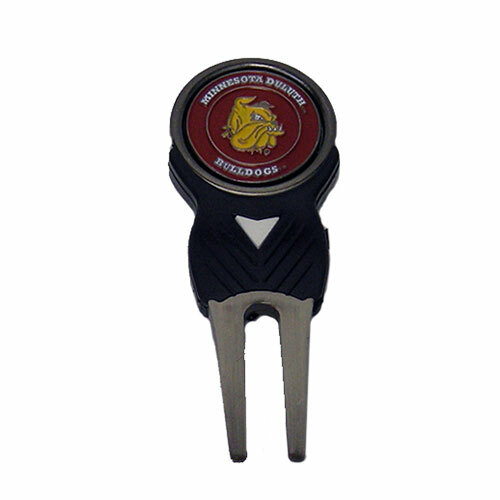 This metal golf divot repair tool measures 3.25" tall and features a strong magnet and removable dual-sided UMD/Bulldog head ball marker. 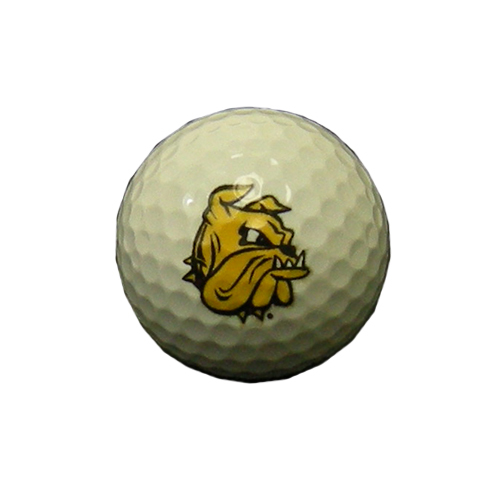 3 pack golf balls feature UMD Dad graphics. 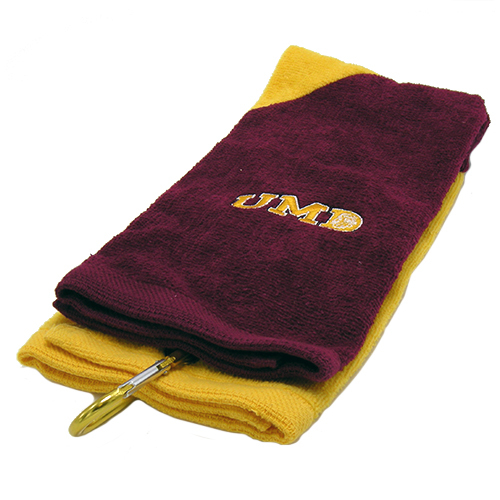 Tri-fold golf towel featuring embroidered UMD graphics. Includes hook and grommet. Measures approximately 16" x 25". From Team Golf. This cap clip fits most any brim. The powerful magnet holds the double-sided ball marker in place. 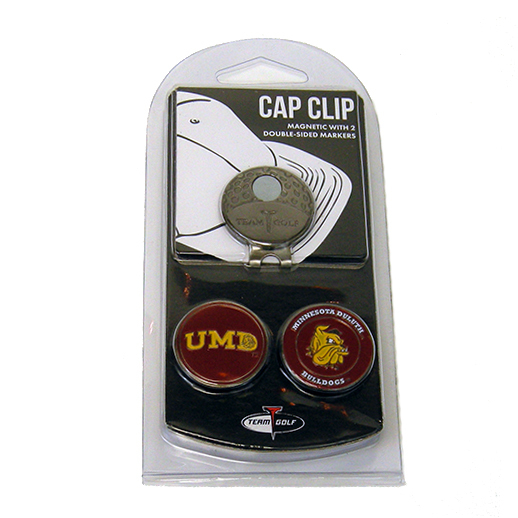 Two ball markers included will fit any Team Golf brand divot tools. 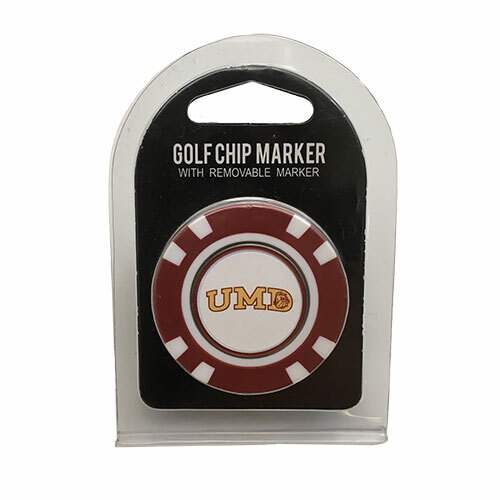 Golf chip marker featuring UMD graphics. Measures approximately 1.5" inches around. From Pro Towels. 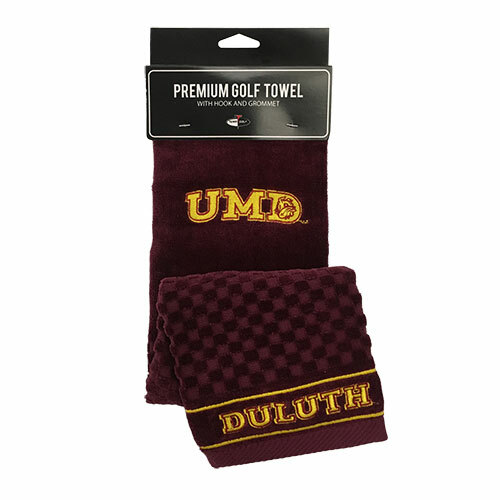 Terry velour 100% cotton twill hemmed two-toned golf towel has an embroidered UMD logo. Features a brass grommet at the top with a removable carabiner clip to attach to your golf bag easily. Unfolded, towel measures 23" tall by 16" wide. Taylor Made distance ball features UMD logo imprint.